Municipal water supply and wastewater systems operate 24 hours a day and are among the largest consumers of electricity in municipalities. Electricity costs can amount to between 40 and 70 percent of total running costs of municipal water infrastructure. In countries with carbon-intensive electricity grids, water infrastructure consequently generates substantial CO2 emissions. As urban populations continue to grow, the adoption of clean energy technologies in municipal water infrastructure is critical to accommodate the growing demand for service delivery in an environmentally and economically sustainable way. Clean energy technologies and energy efficiency interventions have already proven to cost-effectively improve efficiency and reduce CO2 emissions in urban water infrastructure. Despite the benefits, these solutions have thus far not been widely adopted by municipalities in low- and middle-income countries. This is due to, among other issues, the high upfront costs of deploying the technology, a lack of appreciation of the benefits by municipalities and a lack of capacity in municipalities to design, install and operate the new technologies. By accessing private finance and crowding in external funding, municipalities could meet the growing service delivery demand and upgrade their systems by leveraging private-public engagements. Water abstraction from the Boegoeberg irrigation canal by the Grootdrink water treatment works in !Kheis, South Africa. Credit: A. Vermeulen for Pegasys. 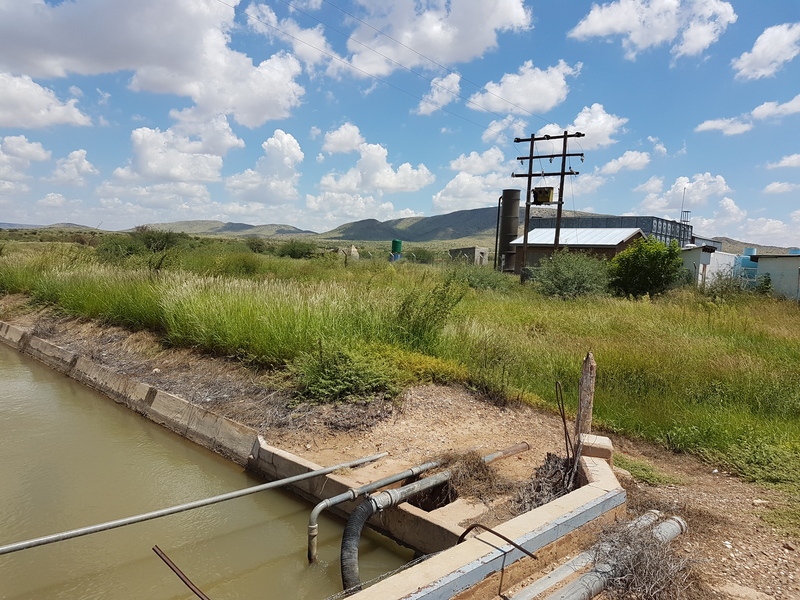 Against this background, a three-year pilot project seeks to catalyse commercial activity to improve energy and water efficiency in South African municipal water and wastewater infrastructure while reducing CO2 emissions. It will do so by creating model pathways to facilitate the cost-effective deployment of clean energy technologies and systems in municipal infrastructure. Besides saving energy and reducing CO2 emissions, the targeted solutions will also support municipalities to save water, improve water quality, improve service delivery and realise cost savings. The project is financed by the European Commission, with UNIDO as Implementation Partner and REEEP as Execution Partner. Design and implementation of demonstration and capacity building activities in selected South African municipalities. Engagement with a broad municipal stakeholder group, including market participants and enablers, to highlight clean energy opportunities. Innovative monitoring and evaluation and practice-based policy research to compile lessons learned and present practical solutions for clean energy deployment, including the concrete finance and business models behind them. Promotion of replication and scale up opportunities in South Africa and the Sub-Saharan African region. The two pilot municipalities have been linked with the South African National Cleaner Production Centre (NCPC). Through its Industrial Energy Efficiency Project, the NCPC offers energy audits and facilitates the implementation of energy management systems in industry. It has now applied this programme to municipal water infrastructure for the first time. These energy audits will help identify opportunities for energy efficiency and clean energy interventions, and prioritise solutions based on their cost-effectiveness. 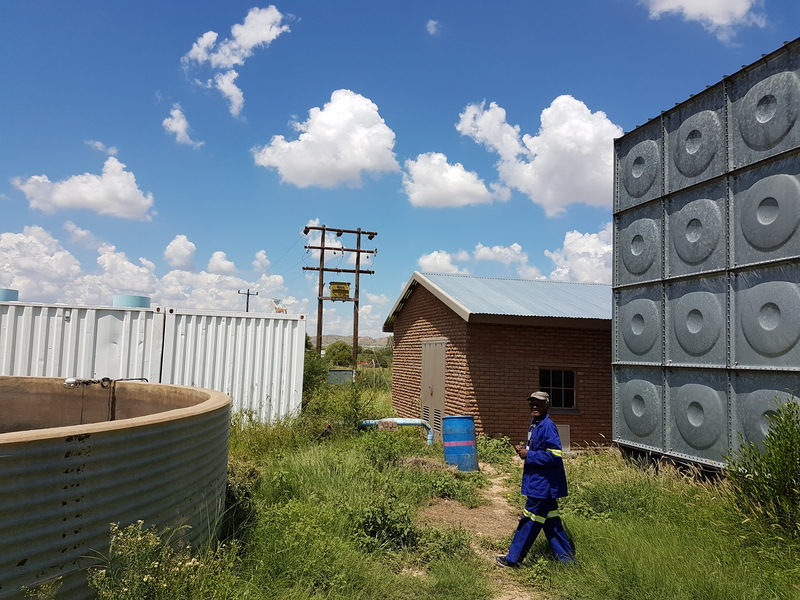 The Grootdrink water treatment works in !Kheis, South Africa. Credit: A. Vermeulen for Pegasys. In the next phase of the project, the municipalities will receive assistance in applying for additional funding sources to implement infrastructure upgrades, including from the national Energy Efficiency Demand Side Management Programme (EEDSM) and other financial mechanisms. In addition, the project will link into existing capacity building initiatives to offer tailored training and skills transfer on implementing energy management systems to municipal staff working in electricity and water departments. Another crucial element of the project is Monitoring, Evaluation and Learning (MEL) as part of the wider replication strategy. REEEP has 15 years’ experience running similar market-building demonstration projects and leveraging lessons learned and market intelligence generated to encourage follow-on investors to enter the space. The MEL strategy for this project has been designed in collaboration with interested investors and other public and private sector stakeholders. REEEP has specific experience in monitoring and evaluating projects within the country’s and region’s policy, financial and commercial environment, to gain insight into market opportunities and barriers. These will help to ensure that the generated knowledge and expertise is of maximum use to those in a position to replicate and scale-up the activities not only within the country and the region but also across the continent. This article was originally published in the Energy Efficiency Magazine for COP23, published by AOB Group and IPEEC. Find the full magazine here. REEEP endorses the Energy Efficiency Global Forum 2018, the preeminent high-level energy efficiency event that draws together business executives, government leaders and advocates from across sectors and continents for actionable dialogues on advancing energy efficiency. Join us for two days of key partnership-building and unparalleled content focused on the theme Energy efficiency: Innovation, Investment, Impact. EE Global 2018 will be held in Copenhagen, Denmark, on 21 and 22 May. To register, visit the website.